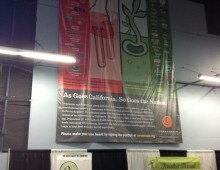 Poster used at National Heirloom Festival in Santa Rosa, California. 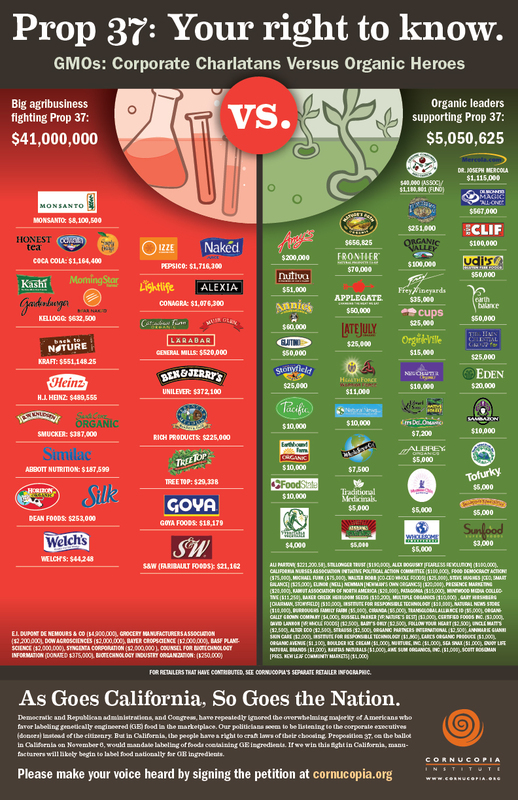 Proposition 37, on the ballot in California Nov. 6, 2012, if passed would require that food manufacturers label any products that use genetically-modified ingredients. 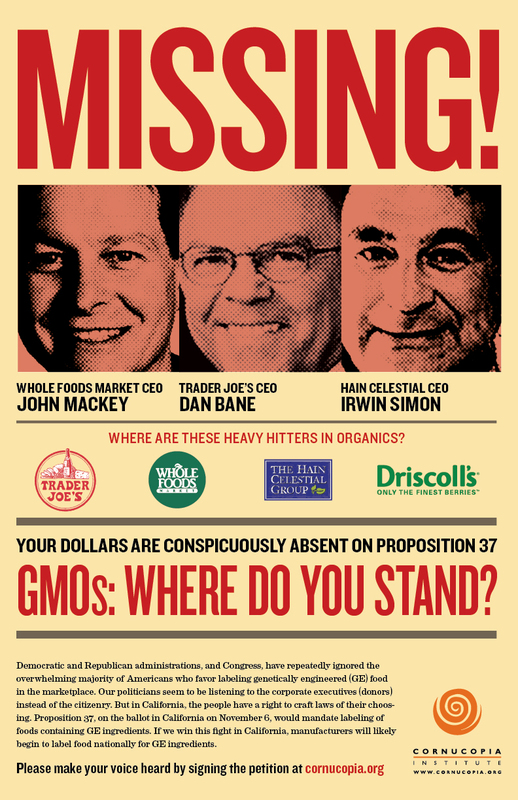 This initiative is being fought tooth-and-nail by such corporate agribusiness concerns as Monsanto, Pepsico, and General Mills. Small organic producers are lining up in support. The Cornucopia Institute in Wisconsin, an advocate for organic farmers, grocers, and distributors, hired me to create a catching infographic they could use on their website, in email blasts, and on Facebook. 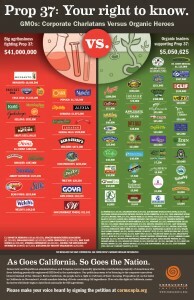 The images I made caught fire; food co-ops and organizations around the country have downloaded, printed, and displayed the Prop 37 poster to teach their customers about the forces lining up on either side of the battle. 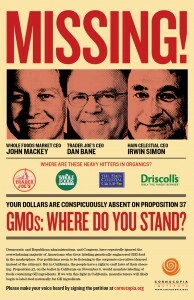 Meanwhile, the “Missing!” poster helped sway the CEOs of a couple organic industry heavyweights to get off the fence and commit money to the Pro-37 side. 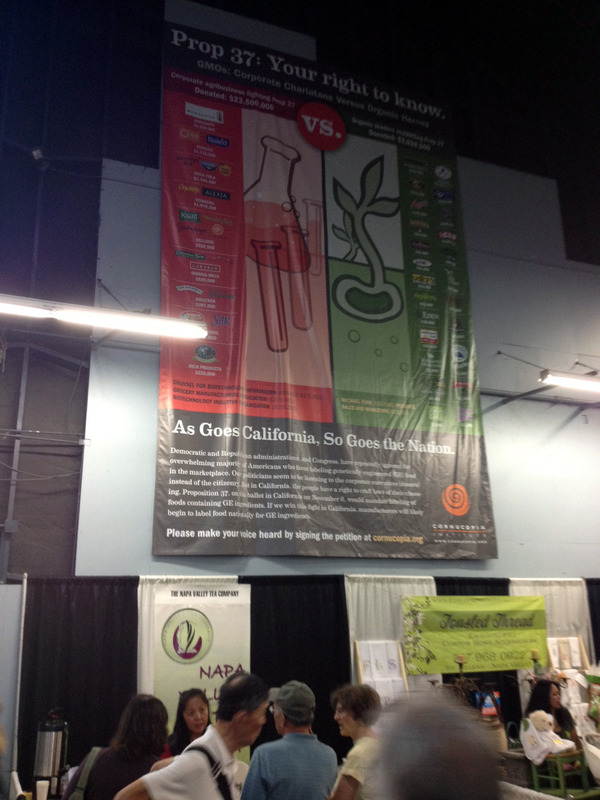 Pictured at right is an earlier version of the “Your right to know” poster, which was printed out 22 feet long and hung at the National Heirloom Festival in Santa Rosa, California September 2012.